Contact your legislator and tell them no more additional taxes on small business. A tax on advertising will cripple the small business community in Illinois. Make sure your lawmakers in Springfield know the impact of their decisions. Tell them to vote NO to another hidden tax. I am deeply concerned about the state’s plan to implement a tax on advertising, and I am writing to ask you to consider the devastating effects this proposal will have and vote no on the ad tax. In a state that is consistently ranked at the very bottom of the list in terms of business climate, another tax will force small business owners throughout the state, who rely on advertising to market their goods and services, to either pass the cost along to their customers, shut their doors or pack their bags and leave Illinois. I understand the enormous financial challenges facing the state, but balancing the budget by placing yet another burden on the backs of Illinois’ primary economic drivers is not the way to solve this problem. Given the fact that ad taxes have failed in other states (Florida repealed its ad tax after just six months due to lost jobs, declining revenues and extremely high administrative costs associated with enforcing the tax) I vehemently oppose this proposal and hope you, too, see the danger in placing a tax on advertising. I encourage you to visit NoAdTaxIllinois.com to learn more about this disastrous tax, understand how a tax on ads attacks small businesses and get more information on why you should vote no on the ad tax. This flawed policy will impose a nearly 10% tax on small businesses throughout Illinois that rely on marketing to reach their consumers. The proposed tax will destroy many small businesses in Illinois and will make Main Street Illinois a ghost town. 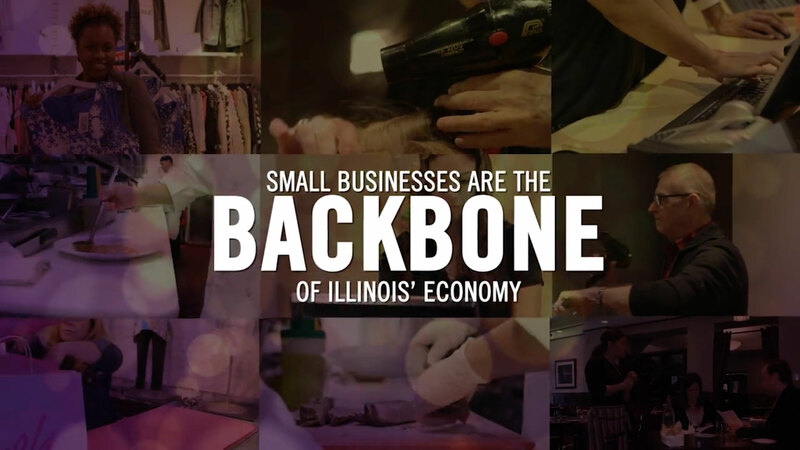 Small businesses are the backbone of Illinois' economy. From the family owned and operated car dealership in Joliet to the real-estate agent in Chicago, small businesses rely on advertising to drive sales. Simply put, less advertising will mean less sales and people will lose their jobs and their businesses. A tax on advertising will mean that for every $100 dollars spent on advertising, $10 will now go to the government. A tax on ads is another nail in the coffin of Illinois small businesses. If you own or work for one of the following industries your advertising dollars and subsequent revenue will dwindle if this tax goes into effect: Realty, Auto, Local Grocery Stores, Local Hardware Stores, Florists, Restaurants, Equipment Sales, Pet Grooming, Beauty/Cosmetic, Landscaping, Insurance, Law, Financial Services, Medical Care. No state in the United States applies a sales tax to advertising and we need to send a message to Springfield that Illinois needs to create jobs, not tax small business to death.